This tutorial explains how to use debugging options in react native application to identify the bugs or defect in android or ios application. React native offers a couple of methods that help in debugging your code. 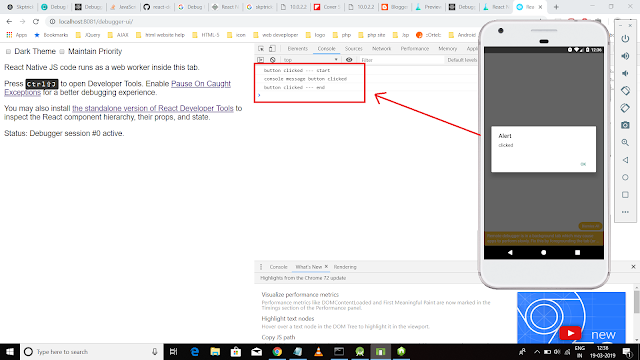 Step-2 : It should trigger the React native debugger tab to open in Chrome, as long as that’s your default browser. One thing to keep in mind as regards keeping this debugger open is that if you have to kill your app for some reason and start it again, they may slow down your app a lot when you relaunch it. Step-3 : First perform right click and select the inspect option from the context menu, then select the console option from the chrome developer tool. After that perform the log operation in react native application and then see the results in chrome developer option console section. Checkout the screenshot for the reference. 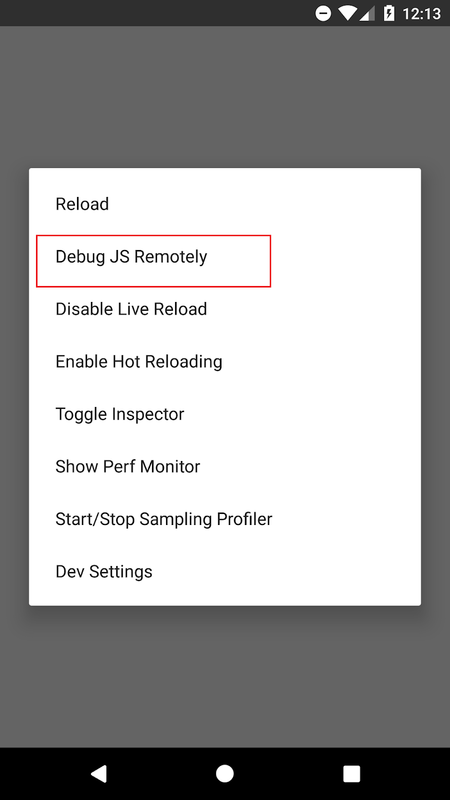 This is all about react native debug js remotely option. Thank you for reading this article, and if you have any problem, have a another better useful solution about this article, please write message in the comment section.